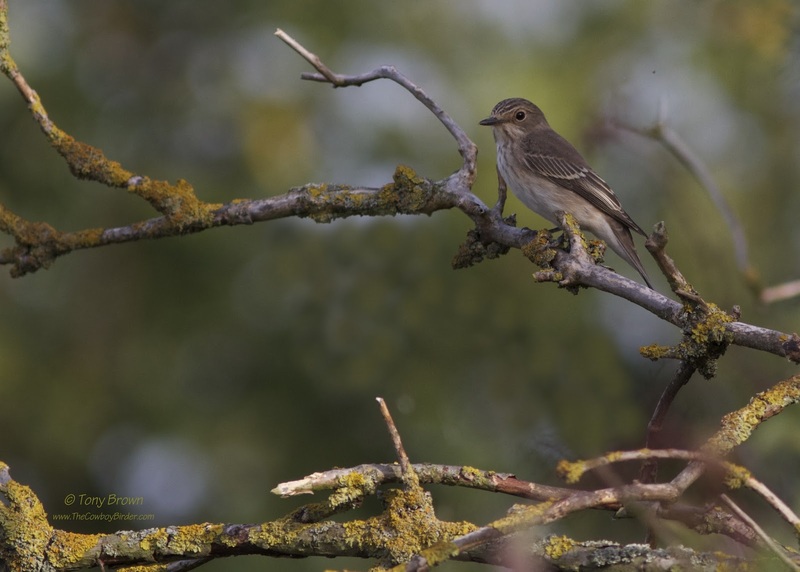 The Spotted Flycatcher is another well publicised British breeding bird in big trouble, and has been on the BTO red list for many years as numbers have steadily declined since the 1960's. In 2000 a survey by the BTO identified less than 59,000 territories of Spotted Flycatcher in the UK - even at that time it was suggested this was an over estimate. Thirteen years on and I'd hate to guess what this number is now - 30,000, 15,000, less than 10,000 - shocking! Knowing how difficult is to catch up with these locally in the summer as a breeding bird (I know of only one pair), I'm thankful I can still get my fix of these super little birds in the autumn. Wanstead Flats has to be one of the best places in London to see this Flycatcher in action, as adults and juveniles disperse and head south, briefly stopping over on route to warmer winter climates. 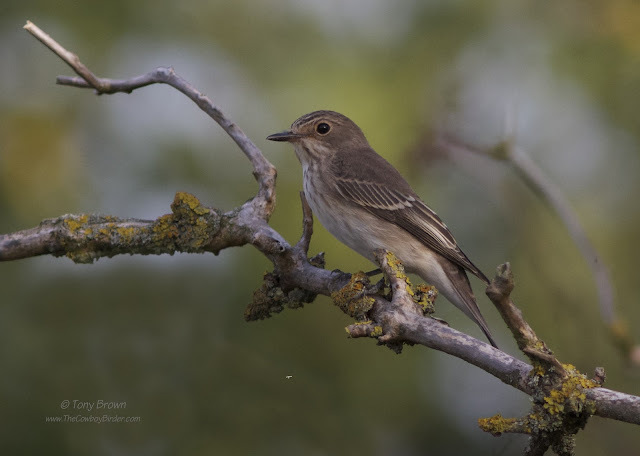 With news of the first passage arrivals appearing on Wanstead Flats this week, I couldn't resist spending a couple of hours around one or two of there favoured areas on the Flats (unfortunately these areas are also favoured by one or two slightly undesirable gentleman of the woods!). I'm pleased to say that I did catch up with one confiding bird, fly catching in the evening sun and can only hope there are many more in the next week or two as we reach the peak of there southerly migration - but despite the success of seeing one of these birds, I think I'll stick to birding in the mornings on the Flats, just incase I catch the eye of someone less interesting than a Spotted Flycatcher. It's all gone Cuckoo on Wanstead Flats!